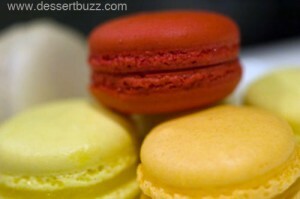 Two weeks ago I had some macarons from Antonio Bachour of Quattro after dessert. 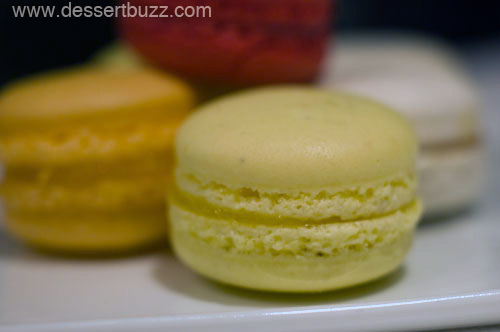 The lemon and strawberry macarons were really flavorful and fresh. The texture of the cookie was perfect–there was no “crunch” detected when you bit into the shell. The only downside is convenience as the only way to try some of these macarons is to 1) have dinner at Quatto or 2) stay at the Trump Soho Hotel where every guest recently received some macarons in their room instead of the standard (and boring) chocolate on the pillow. On the other hand the macarons I had from Gallery 32 on Sunday had flavor and looked the part but their texture was really gluey. It was like someone melted a caramel square inside two macaron cookies. for $1.50 they were cheap but if you are in gallery 32 and need dessert go for the self-serve style red mango instead, where $3.00 will buy you quite a bit. The Crepe Monster stand in Food Gallery 32 is pretty good too. @Abby you’re right about the Crepe Monster stand! Those are a good treat as well.